Landscapes, specialist craft workshop and farm visits, food and wine excursions, ceramics workshops, boat trips and much more besides, to weave your own personal experience into the rich fabric of local places, people and traditions. We experienced holidays on the Amalfi Coast for the first time as tourists, then as residents, and more recently as tourism operators. Visiting far and wide, we fell in love with this land, and grew to appreciate its continuing capacity to surprise us with unexpected beauty spots, not all of which are well known. Our idea, and, above all, our desire, is to share our experiences with you, to involve you in our interpretations of this land, so that you can experience the same thrilling, unforgettable feelings in your Amalfi Coast Holidays. Hospitality is our specialty: we aim to offer a warm welcome, professionalism, and pride ourselves on the particular care and attention paid to every request and desire. 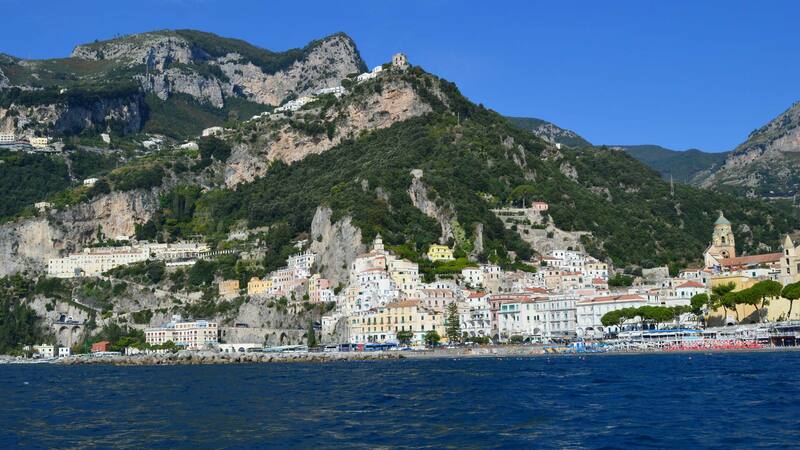 We're looking forward to your visit for Amalfi Coast Holidays with great pleasure.